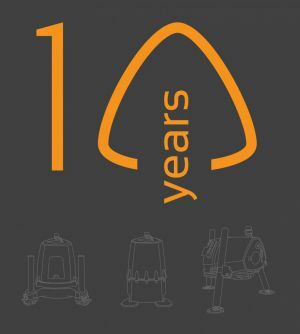 Industry-leading wind lidar company ZephIR Lidar have this month celebrated their 10th anniversary of wind lidar experience, having been the original pioneer of lidar measurement for the wind industry. On 4th March 2003, a prototype ZephIR lidar was successfully installed on the nacelle of a Nordex N90 wind turbine generator, and immediately demonstrated its ability to measure the wind more than 100m in front of the turbine blades. ZephIRs introduction sparked a revolution in anemometry, and it is now becoming routine for lidar to measure wind characteristics for a range of applications in the wind industry including resource assessment, power curves, wake analysis, and turbine-mounted systems. ZephIR® exploited decades of research at UK government Research & Development establishment QinetiQ, and was further optimised for the wind industry by leading international renewable energy consultancy Natural Power. ZephIR paved the way for many of the remote sensing devices seen in the market today and whilst the ZephIR Lidar team continue to innovate with world firsts addressing complex client requirements, the product has now amassed more than 3.5 million hours of operation across 650+ deployments globally spanning a decade of commercial experience. ZephIR 300 measures wind characteristics onshore and on fixed or floating platforms offshore from just 10 metres (33 feet) up to 200 metres (656 feet) from installed position to inform wind regime and quality studies during the development and operation of wind farms onshore and offshore. ZephIR 300 is accurate, reliable and affordable, adding value to wind energy projects at every stage – from pre-planning, through development and on to operation. Every system is uniquely subjected to an industry-approved validation process, part of which occurs at the UKs Lidar and Sodar test site, ensuring repeatable finance-grade data. Both products are supported by a comprehensive range of Support Packages to ensure end-to-end wind measurement services for clients globally.